On the Web - The Blood Cell talks about their TBC Raspberry blood python breeding project, how far it has come in ten years, and what the next ten years might bring. BloodPythons.com - The Blood Cell shows off an incredible looking red blood python that they will be breeding this coming season. 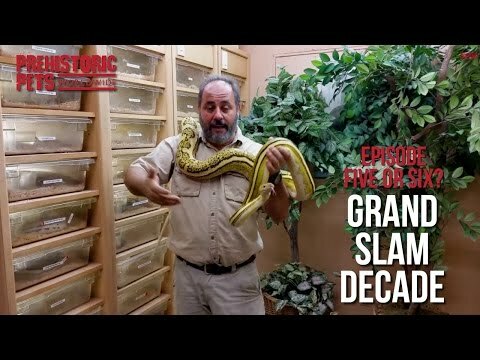 YouTube - Jay shows off some of their genetic combinations of reticulated python that have years and years in the making. Ball-Pythons.net - As seen here with these beautiful ball python models, cell phones can take really nice pictures these days. BloodPythons.com - This beautiful Bangka blood python at The Blood Cell laid her clutch of eggs exactly thirty days after her post-ovulation shed.